AAP has said that it will explore its legal options as other political parties too had been allotted bungalows to use as office space. 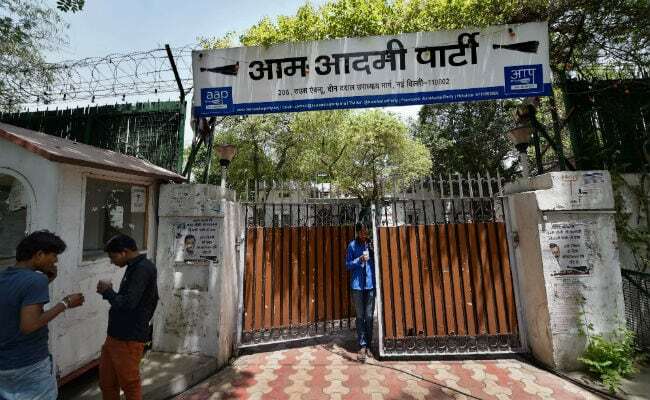 Delhi's ruling Aam Aadmi Party (AAP) has been asked to pay Rs 27 lakh rent by its own government for "illegally occupying" the building it uses as its party office. The Public Works Department (PWD) of the Delhi government has sent notice to AAP asking it to pay Rs 27,73,802. Sources say it is 65 times the license fee and will keep increasing until the party vacates the office in Rouse Avenue in north Delhi. In April, the civic body had sent notice to Chief Minister Arvind Kejriwal, the chief of AAP, asking him to immediately vacate the party office, saying it was allotted in violation of rules. Sources say Lieutenant Governor Anil Baijal has cancelled the allotment. The AAP government cleared the allotment in 2015 - as part of a policy for allotment of land to state parties - and later gave itself the party office. The bungalow that the party took up was earlier allotted to Asim Ahmed Khan, then Delhi minister, who was sacked over corruption charges. The alleged irregularities in the allotment of the office was flagged by a committee set up by previous Lieutenant Governor Najeeb Jung to investigate over 400 files linked to decisions taken by the AAP government. Mr Jung's successor Mr Baijal, who took office in December, had earlier this year directed that Rs 97 crore be recovered from the ruling party for allegedly spending public money on advertisements.